As the Captain of the Hyperion, you must lead these girls into battle against zombies and Honkai beasts in various locales around the world. 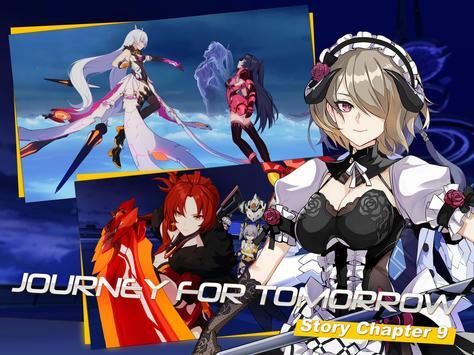 Experience the girls unique personalities, challenge and conquer various raids and stages, and enjoy the rich storyline of the Honkai Universe! Join the Valkyries and fight for all that is beautiful in the world! The Herrscher's powers have been unleashed, transforming a Valkyrie into a powerful new form. Manifest the might of Honkai into impaling spears and brush all opposition aside. Herrscher of the Void iana's Srank awakened battlesuit has been deployed! The night is the perfect companion for her inauguration. Let her wings of war set the battlefield alight! "We hereby declare Judgment Day!" The fiery temptress had her innocent moments. The frost and cold have whittled away her years, but her indomitable will stood firm. Arctic riegsmesser Himeko's Arank awakened battlesuit deployed! Relive her past warrior days and Imbue her memories and iron will into her mighty zweihnder! Shocking secrets are hidden within the heart of Schicksal! What is Schicksal planning to do with the giant mecha God Father they secretly salvaged from the AntiEntropy ruins? All crew of the Hyperion! Code red! Valkyrie Squads to battlestations. Infiltrate the Schicksal Air Terminal. Seize the God Father. We will bring this war to their doorsteps! Let faith be our blade, Captain! Go forth and clear a path to Schicksal's mighty fortress in the sky! A vast virtual world exists beyond reality. The dimensional portals are open, revealing lost treasures to be found. People think they have unlimited imagination. The Virtual World will put this imagination to the test. Although history cannot be observed directly, their effects still persist. Like the future itself, the corridors of memories within these spatial rifts are waiting to be explored. eys of the Void penultimate dual pistols that fire "absolute commandments" designed to rip apart the spacetime fabric itself. The mesmerizing singing voice of the divas is heard all over the Honkai world through [Starry Woofers] and [Galactic Nova]. Hrungnir the fearsome frost giant of the Nordic myths. This greatsword smites evil where it exists. Celine: Ascendant the mighty stigmata have resurfaced with the powers of fires and storms. All these will help us in the Honkai War, Captain! 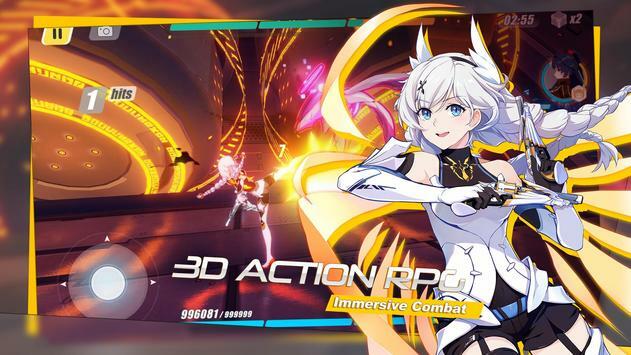 Please review Honkai Impact 3 Game and submit your comments below. 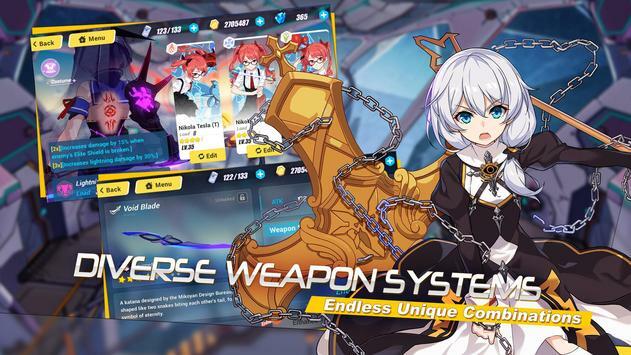 We will collect all comments in an effort to determine whether the Honkai Impact 3 app is reliable, perform as expected and deliver the promised features and functionalities.